This novel contains two stories that intersect toward the end of the book. 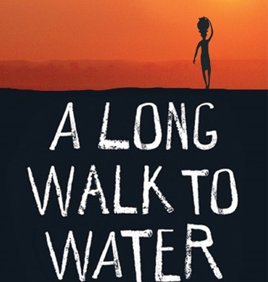 The first story is a realistic fiction account of Nya, and chronicles her life in Southern Sudan and her daily trek to get water for her family. The inconvenience and illness that comes with this unpurified water prevents girls in the Nuer tribe community like Nya from going to school and living a healthy life.